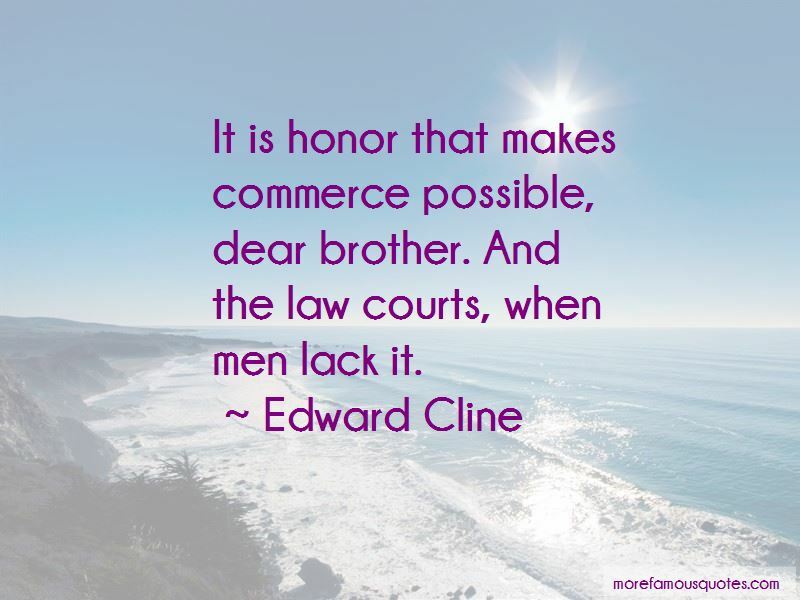 Enjoy the top 4 famous quotes, sayings and quotations by Edward Cline. When he had finished placing the objects that would be a part of the portrait, the artist asked his subject, "Why do you wish to include the top, milord?" He paused. "I ask this so that I may better understand its place in the portrait." "Because, when it is set in motion, it stands by its own rules. Then it is not an inert thing, like a tree, or a rock." Westcott had smiled. "Ah! 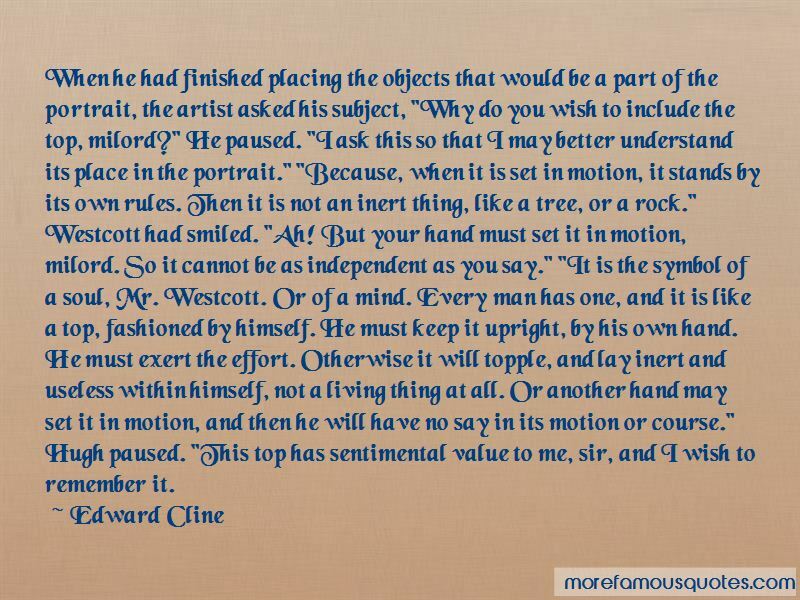 But your hand must set it in motion, milord. So it cannot be as independent as you say." "It is the symbol of a soul, Mr. Westcott. Or of a mind. Every man has one, and it is like a top, fashioned by himself. He must keep it upright, by his own hand. He must exert the effort. Otherwise it will topple, and lay inert and useless within himself, not a living thing at all. Or another hand may set it in motion, and then he will have no say in its motion or course." Hugh paused. "This top has sentimental value to me, sir, and I wish to remember it. 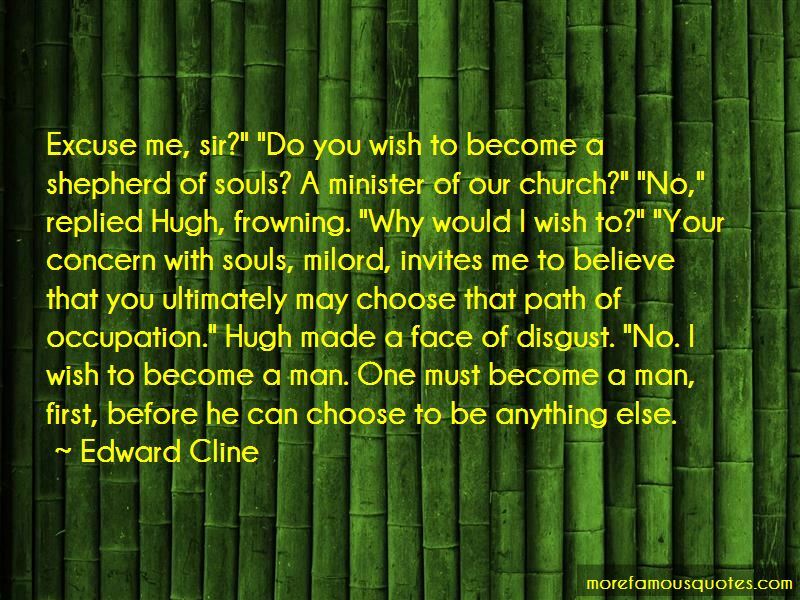 Want to see more pictures of Edward Cline quotes? 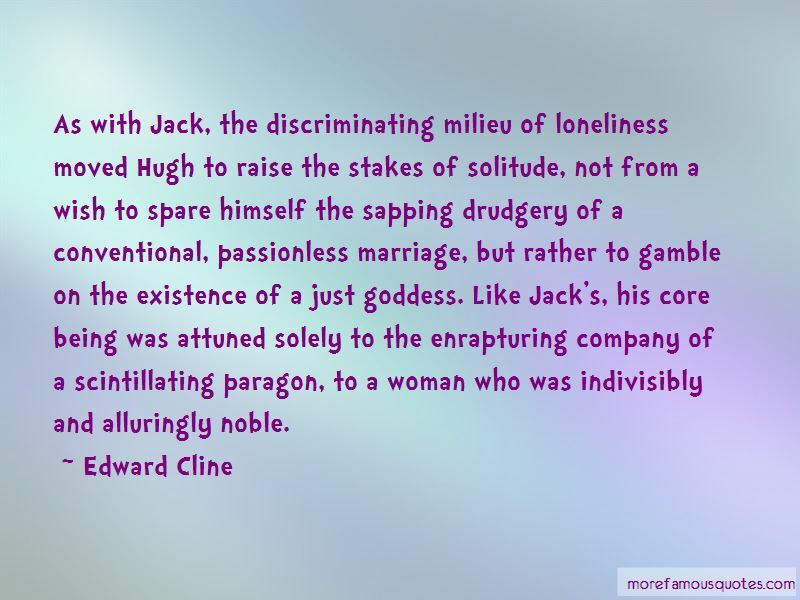 Click on image of Edward Cline quotes to view full size.